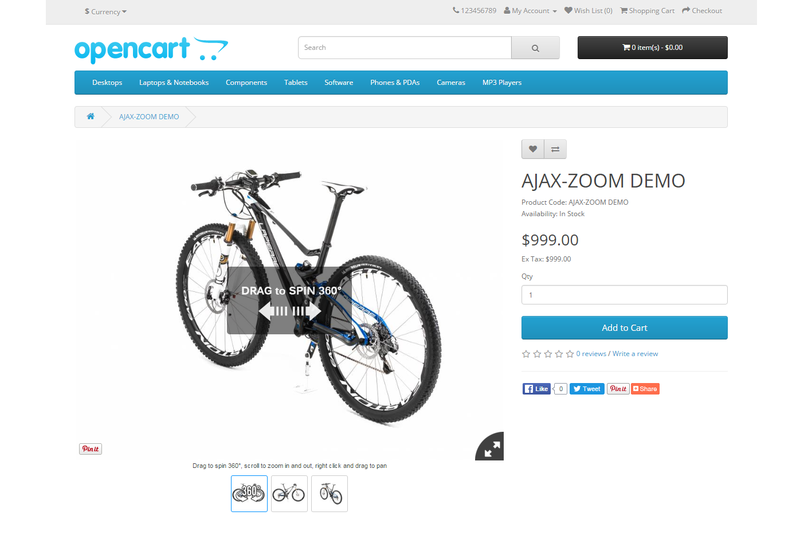 In the frontend template, the AJAX-ZOOM plugin for OpenCart replaces the area that displays product images with the AJAX-ZOOM "zoom on hover" extension. 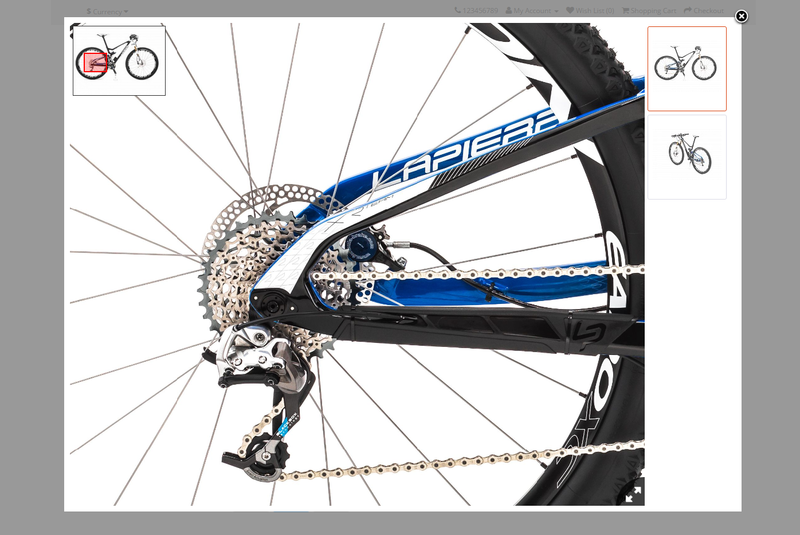 Besides efficient displaying high-resolution images, the AJAX-ZOOM extension features 360 views and 3D multi-level product views. 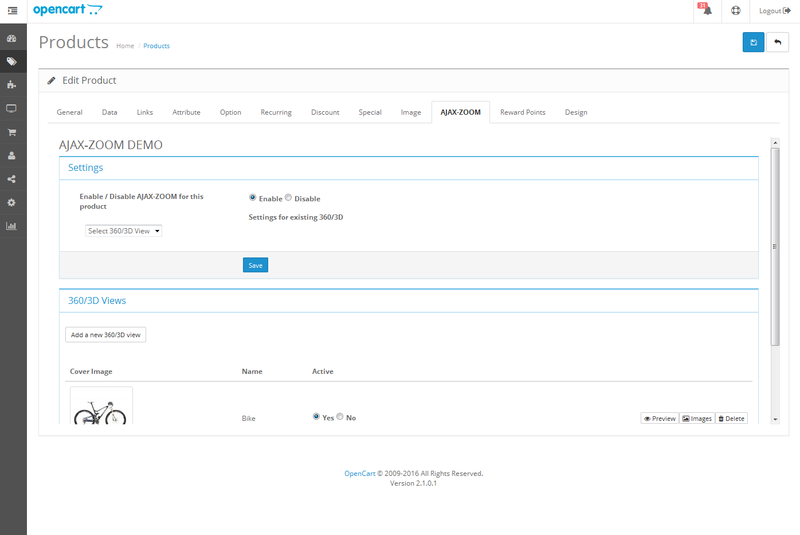 Administrators can create those views directly in the backend area of the OpenCart system. They can upload the 360 images over the interface or import them from ZIP files that were previously uploaded to a specified folder. 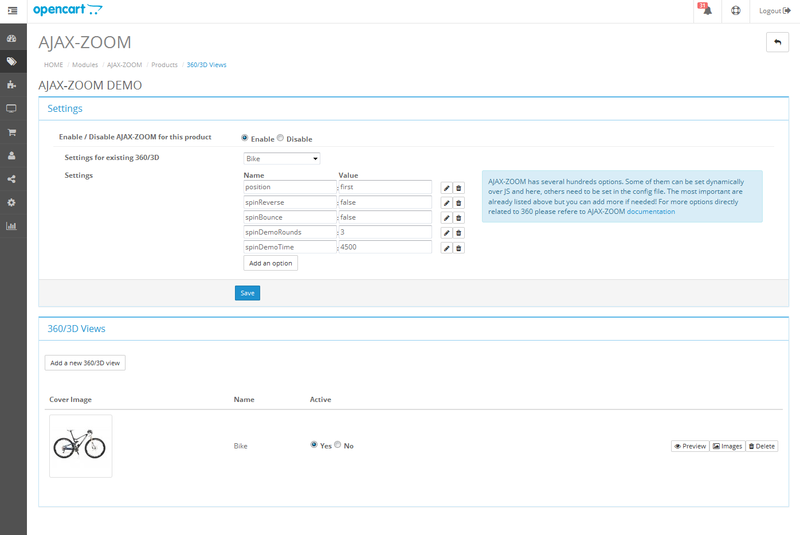 It is possible to configure each 360-spin individually or adjust the settings globally over the backend interface. With the hotspots editor that opens in a new window, administrators are able to create interactive markings on the 360 product views. 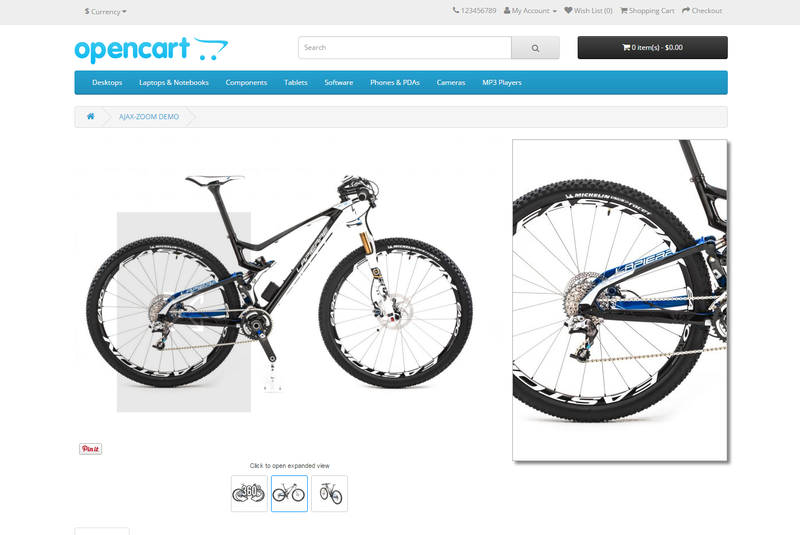 With a different editor, that is also a part of the backend integration, there is a possibility to create 360 product tours by selecting areas of the 360 view and describing them. The software automatically creates a slider gallery with thumbnails of those areas. When the user clicks on a thumbnail, the viewer spins and zooms to that spot using a selectable animation. For regular images, there are no changes required. 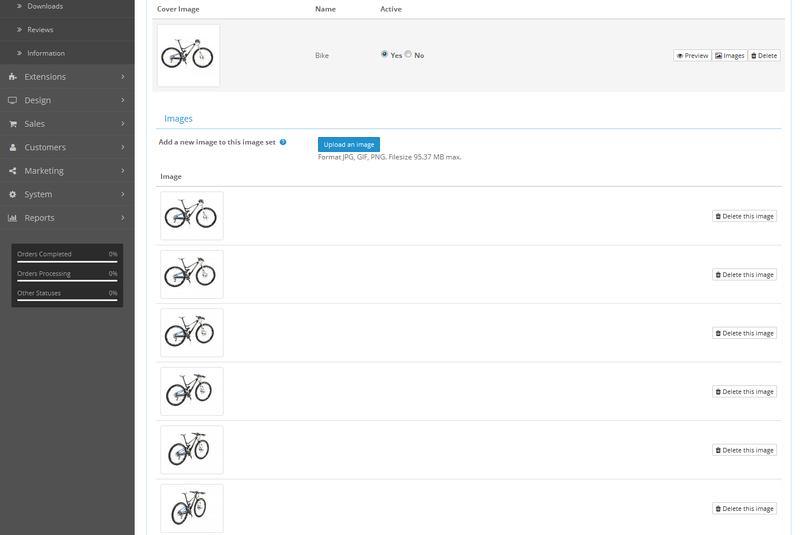 The AJAX-ZOOM plugin automatically fetches and displays them as an item in the thumbnails gallery along with the 360 product views if present. 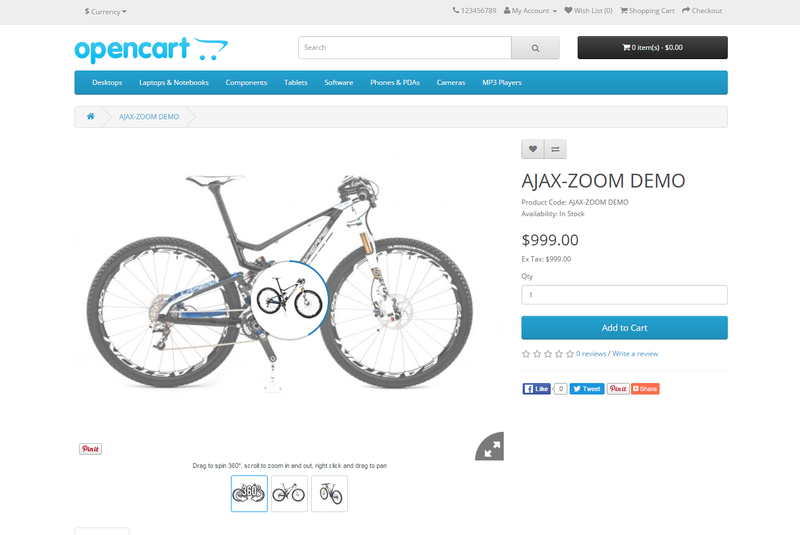 You can freely download the AJAX-ZOOM plugin for Opencart and test it in your development environment! For the regular images, there is no need to do anything. Define one or more 360° spins for the product. Select a zip file which contains images for a 360° set to import. These zip files must be uploaded in '/modules/ajaxzoom/zip/' directory and can be removed later. After importing or uploading the images manually, you can make some adjustments for this particular 360° product view, e.g., change rotation speed and many other options available for AJAX-ZOOM. Opencart Ver. 1.5 or later. Make sure VQMOD is installed! Unpack the ZIP file for Opencart Ver. 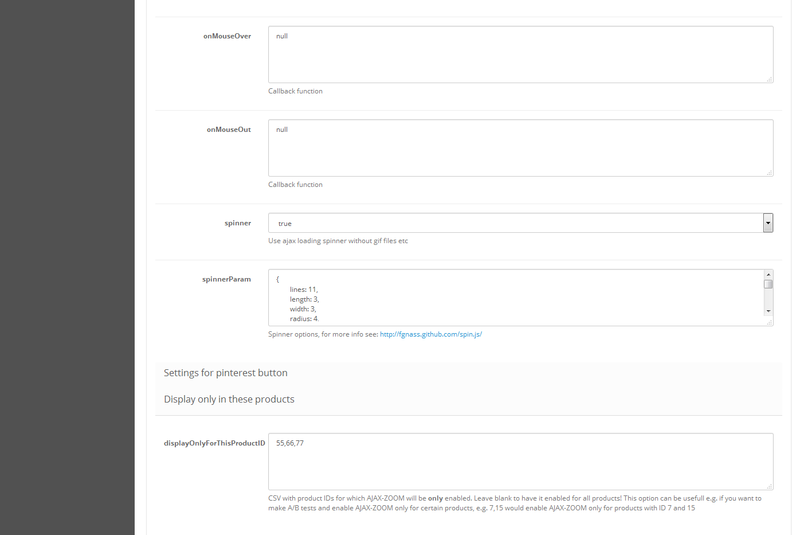 1.5.x and upload everything into the root of your store." 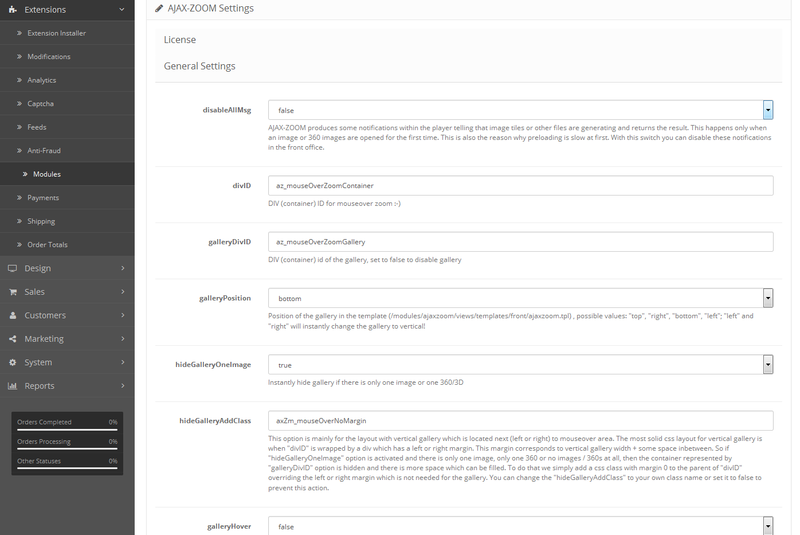 You can manually download AJAX-ZOOM and upload the content of "/axZm" folder into "/ajaxzoom/axZm" now or let the installer make it instantly for you later. Make sure that "/ajaxzoom", "/ajaxzoom/pic" and "/ajaxzoom/zip" are writable by PHP (e.g. chmod 0775). Best make it 0777 first. Now AJAX-ZOOM should be visible in Extensions > Mudules. Install the module now. After installation, please check that there is "/ajaxzoom/axZm" folder and that it is not empty. If not, please see troublehooting. Does not help? Contact our support! 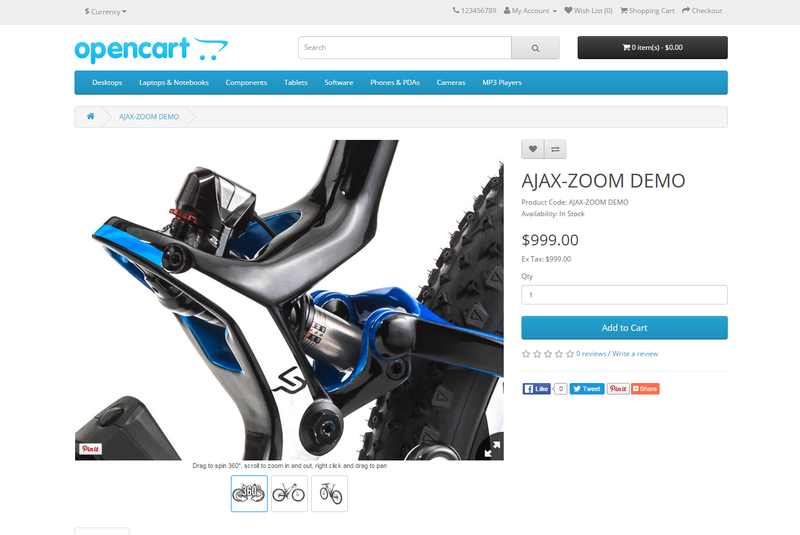 Upload the AJAX-ZOOM extension for Opencart 2.x ZIP file over Extension -> Extension Installer in the Backend of your shop installation. In Extension > Modifications at the top of the page, press the blue "refresh" button. Make sure that "/ajaxzoom", "/ajaxzoom/pic" and "/ajaxzoom/zip" are writable by PHP (e.g. chmod 0775). Best make it 0777 first! Install the Module in Extension > Modules now. In extensions -> modifications hit "refresh" button. During installation, the installer downloads AJAX-ZOOM automatically. In some cases, e.g., 'allow_url_fopen' is disabled or timeout occurs, the process can fail without notice. Please check that the folder /ajaxzoom/axZm exists and it is not empty. If it does not exist or it is empty, please download AJAX-ZOOM from our page and extract axZm folder into /ajaxzoom/axZm manually. If you encounter any other troubles, please report / contact our support. We will fix and document it with highest priority. 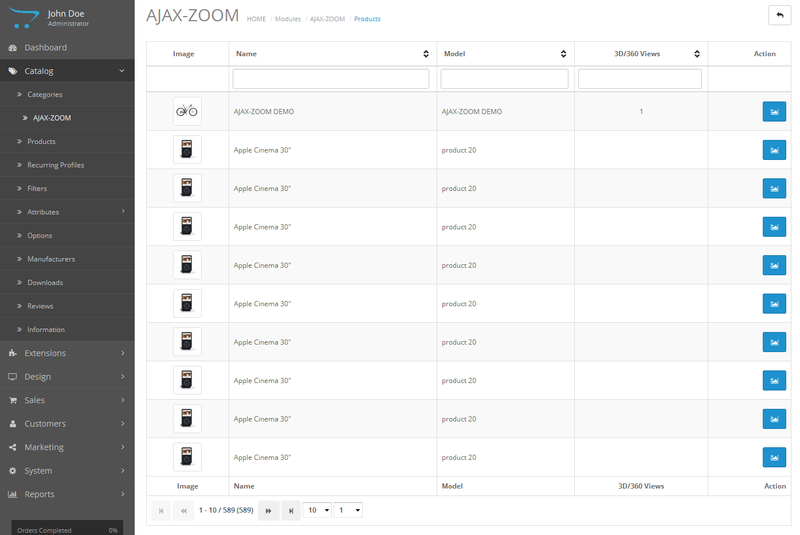 There is no need to order AJAX-ZOOM before you have successfully installed and tested it! The license price primarily depends on the number of different images, which are displayed on a domain in the AJAX-ZOOM viewer. For the complete license agreement, please visit the download section. 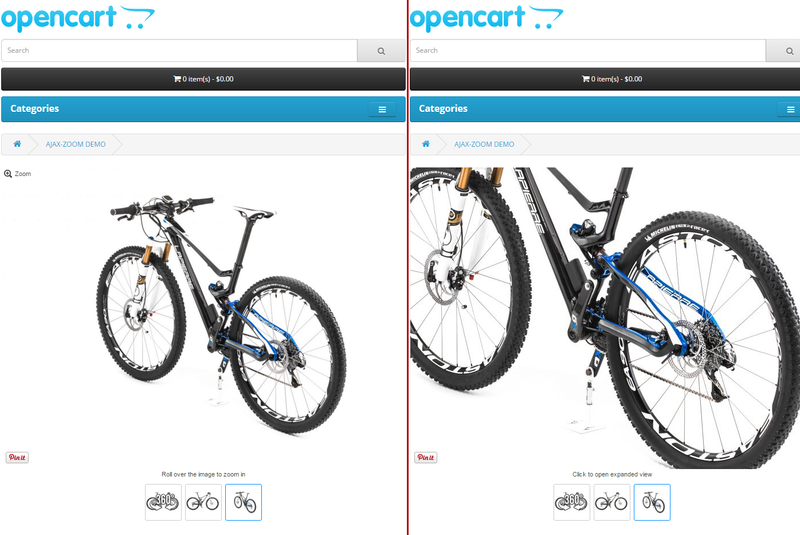 If you are the shop owner and think about using Opencart 3.x as your shopping cart engine for your new shop, you should know exactly why you are doing this. We cannot recommend using this hardly updateable cart engine unless you are a highly qualified programmer and know precisely, why you are using this system and not an other. As shop owner consider using PrestaShop, which is about on same level but has undeniable benefits compared to Opencart. An other alternative to consider in this segment is WooCommerce, which is based on WordPress.